One of the most serious issues that property owners deal with at times is that of trying to find a reliable Pacific Palisades plumbing company when necessary. The good news is that our plumbing team can be contacted around the clock to provide their services in the form of repairs, maintenance or installation of new fixtures and items such as water heaters, faucets and piping. All of our plumbing technicians have the necessary expertise and knowledge to ensure that their work is done according to the highest quality and industry standards possible. Call us today at (323) 745-2839. If your property is more than 10 to 15 years old, it is recommended that you consider replacing items such as garbage disposal units and water heaters. While it may seem counter-intuitive to replace an item that is still working, you could arrive home to a flooded home if a water heater decides to burst. When having these fixtures replaced, it’s essential that the work be done by a suitably qualified and experienced Pacific Palisades plumber; otherwise you could find that insurance claims for water damage will be denied. We only hire plumbers who are suitably qualified and licensed, putting you at peace of mind in this regard. A single water leak that is not detected early or that is ignored over time could result in you spending hundreds of dollars on high water bills or worse, a few thousand dollars on structural repairs caused as a result of an ignored leak. Our plumbing technicians are all able to perform professional leak detection services quickly and professionally – including being able to use the latest equipment to detect slab leaks. While working at your Pacific Palisades, CA property, they can perform a range of drain-related tasks as well, including cleaning, repair, unclogging and general maintenance. The vast majority of property owners have learned through the years that plumbing emergencies will not happen at a convenient time. As a result, we have decided to provide our emergency services and call out rates as affordably as possible. If you are struggling with a clogged garbage disposal unit, a broken toilet fixture or a leaking water heart, you can rest assured that we will be able to assist you at any time of the day or night – even over weekends or on holidays. Fast and cost-effective emergency plumbing Pacific Palisades residents can depend on is our ultimate goal. 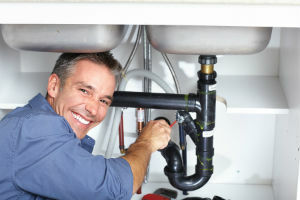 24 Hour Pacific Palisades Plumbers | Schedule an Appointment Today!